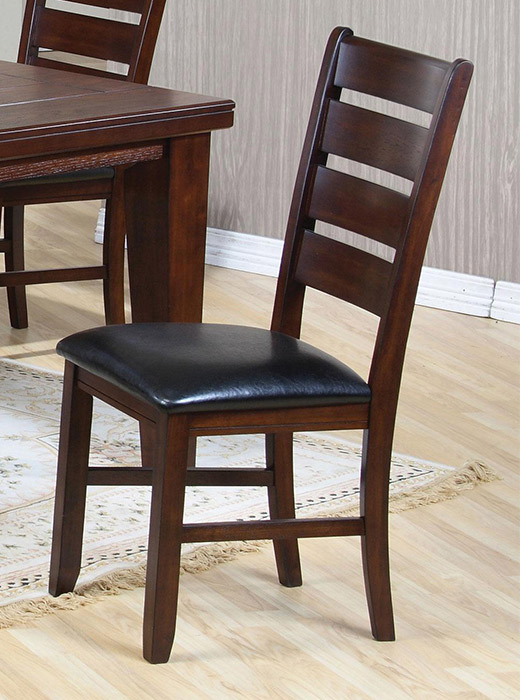 The Imperial collection offers a relaxed dining room style with bold and attractive character. Pull up a seat and compliment your dining room table with the charming simplicity of this side chair. The ladder back design and black upholstered cushioned seat enhances the rustic oak finish. Arrange with the coordinating bench and rectangular table for a polished and inviting dining room look. 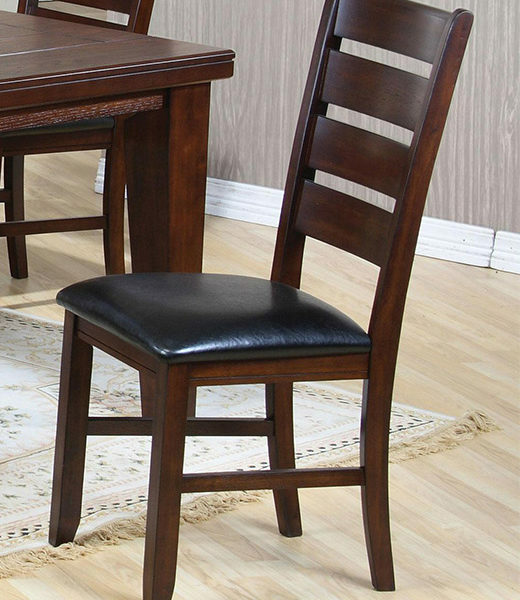 The Imperial collection offers a relaxed dining room style with bold and attractive character. Thick tapered legs, unique plank groove table tops, ladder back chair designs, and upholstered seats compliment the rustic oak finish. Fun, inviting, and comfortable, welcome the Imperial group into your home to create an enjoyable dining atmosphere! Wood & Finish Hardwood solids and birch veneers in a rustic oak finish.